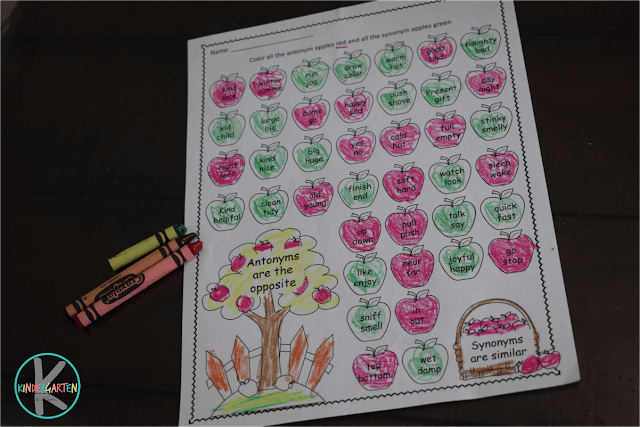 This super cute fall Synonym and Antonym Worksheet will make is fun and easy to practice. 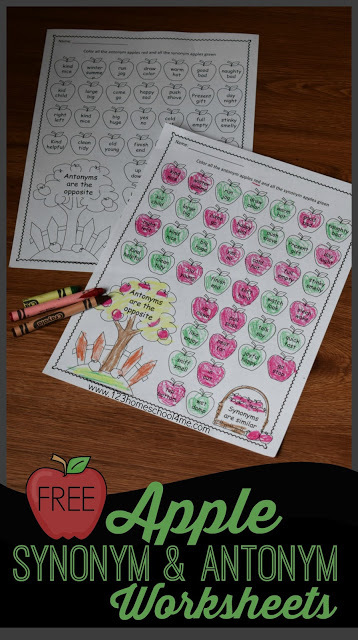 Just print this NO PREP black and white worksheet and hand to your child with a red and green crayon (or marker, pencil, or bingo marker). 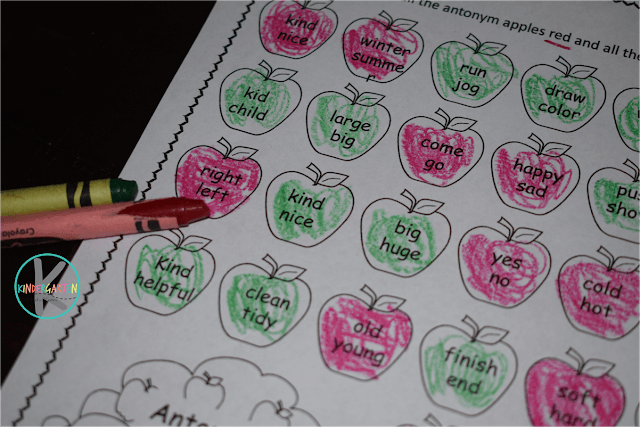 Kids will color the apple red if they are antonyms (opposites) and green if they are synonyms (similar). There is also a handy reminder of what each word means on the sheet. Easy peasy, fun practice!